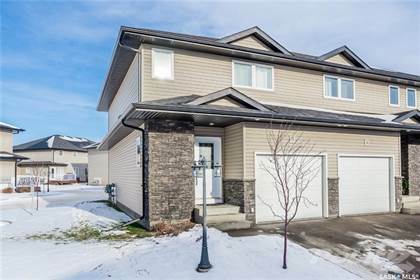 Superb 3 bedroom, 3 bathroom townhouse with single attached garage in Dawson Estates with great access to large green space and park directly across from a school. The main floor has a large entry continuing into the open living space featuring a grand kitchen with large island, spacious living room, dining area, and a 2 piece bathroom. Upstairs you will find two good sized bedrooms, a main bathroom, and a massive master bedroom with a full ensuite bathroom and his/hers closets. The basement is open for development and has roughed in plumbing for another future bathroom. Other features include central air conditioning, large deck with natural gas BBQ hookup, and all the appliances are included. Don't miss out on this great townhouse! Hi, I'd like to find out more information about 365 Dawson CRESCENT. Thanks so much!